It’s about allowing the world’s poorest farmers to run successful businesses. If we strip it back and simplify it, that is what our function is. Global trade as it stands now tends to work against the worlds’ poorest who are not skilled in running a business, are poorly educated and have little access to resources, legal systems and support that is readily available in the developed world. It’s about addressing those needs at the farm gate. These farmers are the most exposed to industries that utilise cheap labour, materials and commodities. What commodities come under the Fairtrade umbrella? Coffee (Yes! Mine was Fairtrade today) and tea. Sugar (whoops) and cotton (oh no, more penance required!) are also common. In Australia we also now have a certified supplier for gold. So really, wherever there is a need to provide support to the farmer to ensure fair trade, that is where we step in. How big is the chocolate industry in Australia? Based on our data from KPMG, the Australian market is in the order of $2.44 billion; of that $120 million is Fairtrade and growing rapidly. Regionally, and Indonesia is a significant consumer, the market is in the order of $16 billion. How does the farmer get their money? 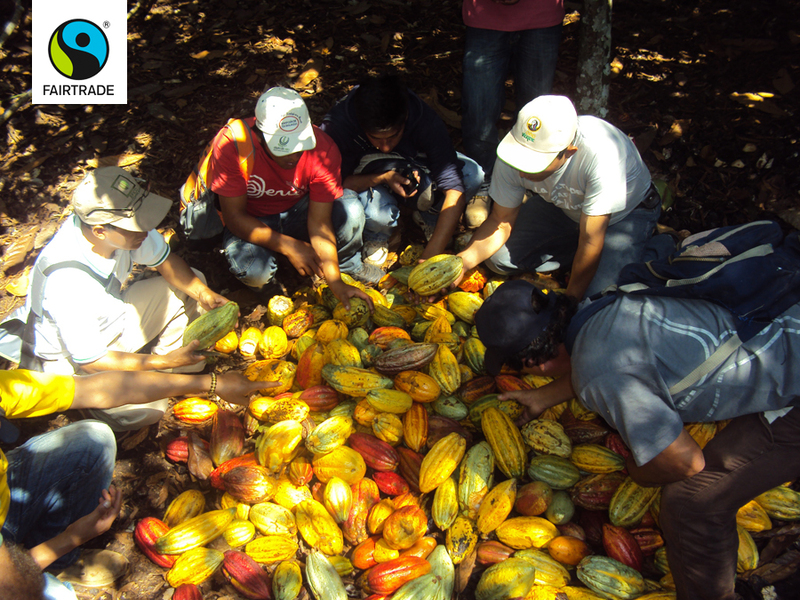 The Fairtrade system is based on buying cocoa at the farm gate at a fixed, fair price. Which means the farmer gets the money in his pocket as it goes to market. With some organisations, the money is recouped from the final sale of the product and has to filter back down the supply chain. The Fairtrade farmers form a cooperative and come to a decision about the price. At the moment, the global commodity price is higher than the Fairtrade price – the farmer must be paid whichever price is higher. On top of that for each metric tonne, a Fairtrade Premium is payable to go back to the farmer’s community to be used for projects such as education, health and infrastructure. If for some reason the farmer fails the audit of his farm, he runs the risk of losing all those benefits that the certification can bring. There are other certification logos on my chocolate bars – how do I know what they provide the farmer? Most are more concerned with ensuring exploitation doesn’t occur or that the rainforest is protected. It is often used as a risk management tool by companies to guard against bad things happening in the supply chain. For many chocolate companies, they believe that is enough. With Fairtrade, we go one step further by incorporating social development into our system. If the chocolate bar manufacturer has bought Fairtrade cocoa, is there anything that needs to be done to earn the Fairtrade logo on the package? Manufacturers of Fairtrade products follow our philosophy of “All That Can Be”, which means if there are other ingredients, such as sugar in chocolate, they must use certified Fairtrade sugar as well as cocoa. It is possible that not all chocolate bar lines from the companies with Fairtrade offerings are certified. The FAIRTRADE Mark on packaging alerts consumers as to (those lines or products) which (do) have ingredients sourced through our Fairtrade channels. Fairtrade is a global organisation, what is happening locally? We work in the Asia Pacific region with teams of people working in the field to help farmers develop sustainable farming under Fairtrade standards. We focus mostly on parts of Timor, Papua New Guinea and the Pacific islands. Chocolate requires a tropical environment near the equator, so a fledgling industry is underway in Papua New Guinea. We are working with Kraft – parent company of Cadbury – to develop it further for the region. Who provides Fairtrade chocolate in Australia? Green & Blacks, Lindsay & Edmonds, Alter Eco, Chocolatier, Cocolo, Bon Bon Strand and Oxfam. New Zealand company Whittakers, have started to use Fairtrade cocoa. In Australia Heart of Chocolate distributes Divine, a chocolate brand which is partly owned by a growers cooperative…We are working with the major supermarkets to bring Fairtrade ingredients into their home brands – Coles received our Fairtrade Retailer of the Year award for their work with coffee and tea. Chocolate will be the next frontier. We want to work in partnership with companies to help them on their journey – these things don’t happen overnight, it is a step by step process and we reward them in their efforts, no matter how small it starts out to be[R1] . The best thing for consumers to do is to put pressure on manufacturers by buying products bearing the Fairtrade Mark, so increasing the demand for more manufacturers to use Fairtrade sources. 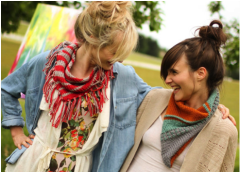 Looking for fair-trade products in your area? Have a quick search on the Fairly Local website or check out the FairlyLocal iPhone app (sorry no Android version at present) .